Thanks to advances in medical and dental science, a dazzling smile is now more achievable than ever. Patients seeking to fill the spaces in their smile caused by missing teeth can turn to Brentwood's Parkway Dental Care for dental implants. As an innovative solution for missing teeth, dental implants improve your oral health and bring confidence back to your smile. Our Brentwood dental implant specialists are experienced in the placement and restoration of dental implants. At our dental practice, you are in good hands; with our dedication to continued education, we utilize the most cutting edge techniques to ensure patients receive the highest quality of implant treatment. Take back your smile and eat your favorite foods with confidence and zero pain with durable, convenient and permanent implants from the best implant dentist in Brentwood! Dr. Rizvi and Dr. Habib work with the latest in ceramic crowns, which are just as durable as metal lined crowns, but more aesthetically pleasing and do not expand and contract in your mouth with temperature changes. Metal lined crowns can sometimes show up in your smile, or can create an unsightly black line in an otherwise perfect tooth. Dr. Rizvi and Dr. Habib not only does new ceramic implant work, he can also upgrade old metal crowns to new ceramics, making your smile not just brighter, but more comfortable. In addition to ceramic crowns, Parkway Dental Care also provides mini dental implant services at our Brentwood dental implants office. With years of experience in mini dental implants, both doctors can replace individual missing teeth, and can preserve the bone tissue of the jaw to prevent the bone loss that missing teeth can cause. Working with Nobel dental implants for superior quality, color matching and durability, the Parkway Dental Care staff can replace cracked or missing teeth to restore your smile to as good as new. 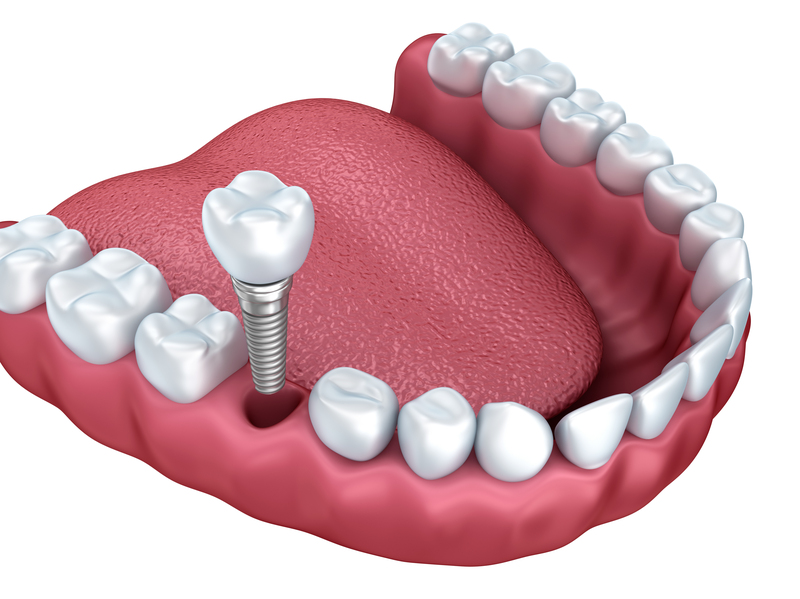 If you are seeking dental implants in the Brentwood area, call us at (925)240-7071. The doctors provides every patient with images, x-rays and a discussion of the best treatment plan. Parkway Dental Care also has a mobile lab for further imaging, so if additional images are needed, they can be taken in the office or in a patient’s home, making the entire process more convenient for you. Getting dental implants is simpler than most think. In fact, with most treatment plans, you can usually go to work the day after your surgery. Dr. Habib's and Dr. Rizvi’s gentle, helpful and knowledgeable staff makes getting dental implants in Brentwood, CA quick and virtually painless; the most you have to do is avoid eating popcorn and other crunchy foods for a few days. For more information about dental implants or to book a consultation, please contact us today!